Attention Deficit Hyperactivity Disorder (ADHD) is a common disorder that impacts focus, self-control and other skills important in daily life & is one of the most common conditions in childhood that impacts how kids function in school and in everyday life. It is a disorder involving a group of key skills known as executive function that impacts the ability to focus, organize, use working memory, & other executive skills. Main symptoms are inattention, impulsivity and hyperactivity. It is usually caused by the differences in the development of brain anatomy and wiring. Studies had found that Infants born at less than 34 weeks are more at risk of ADHD symptoms, such as hyperactivity or short attention spans. Three subtypes of ADHD includes predominantly inattentive, predominantly hyperactive- impulsive, and combined type. 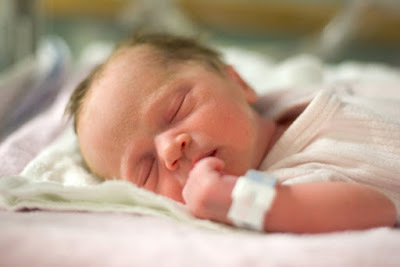 In US, around one in 10 babies are born before 37 weeks, which is classed as being premature and the WHO states eight in 100 British infants are born early. Most ADHD cases are of unknown causes and certain cases are related to previous infection of or trauma to the brain. There are no blood or imaging tests that can diagnose ADHD. Previous findings suggest premature babies have underdeveloped organs, which can lead to inflammation and hormonal changes that cause ADHD. Premature birth can cause physical and developmental problems that last a lifetime. ADHD symptoms can persist into adulthood in some people, & that women and girls have it as often as men and boys. ADHD is diagnosed by an assessment of a child's behavioral and mental development, including ruling out the effects of drugs, medications and other medical or psychiatric problems as explanations for the symptoms.